Today is my Friday and I am so excited for Thanksgiving break. We are hosting my family for Thanksgiving this year and I am glad to have the extra day to prepare. 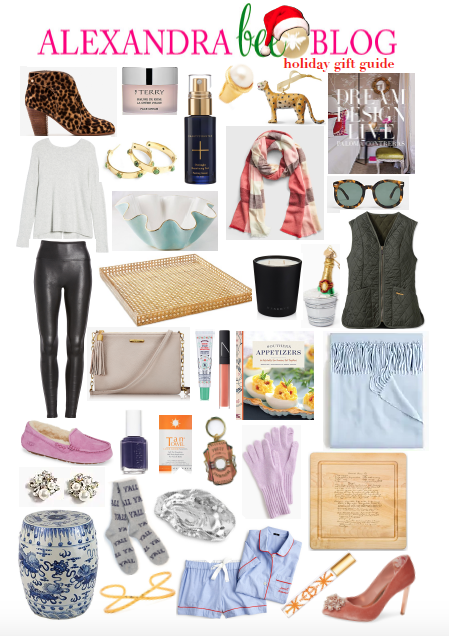 I'm excited to bring you my Ladies Gift Guide today. I always have so much fun putting these together and was glad to hear from so many of you on Instagram that you love shopping them. This year, I'm adding a new feature. As always, all items will be linked below the guide, but at the bottom, I'll have notes about each item (promo codes; why I chose it, personal experience with products I own, etc), so if there's something you have your eye on, be sure to scroll down for more details and to see if it's on sale. And for those of you that told me you always find your man's gifts on my guides, Gents is coming tomorrow! Many of these items are under $100 and many already on sale as Black Friday seems to now be a whole "Black Week." As in past posts, many of these links are affiliate meaning I earn a small commission if you click and purchase. Thanks for your support! Pearl Ring: I have been swooning over this since I found it for the gift guides and might just have to order it for myself; it feels very Julie Vos, but is under $50! Pink Scarf: okay, I'm ordering this- it's on sale for $10...I may order 10 and get them for all my friends; love that the pink is versatile for post-holiday wear (hello, Valentine's Day! ), but it also comes in 4 other colorways including a tartan that screams Christmas! Wavy Bowl: I'm a big fan of Susan Gordon Pottery and these wavy bowls; they are stunning and I've gifted them to others before; bonus points for supporting a female small business owner! Candle: under $50; I'm really picky when it comes to candles; I don't like anything strong or fruity; I prefer crisp, clean scents and this one is amazing, y'all; I had it burning when I hosted barReVA Friendsgiving last week everyone was asking where I got it! Garden Stool: I have one of these in our dining room and am thinking of getting it a mate; makes a great little side table, too; if you're local check out Three Swallows in Norfolk to get one, and other blue and white finds, for a steal! Who's on your gift list? Who do you find the toughest to shop for? And for fun, what's on YOUR wish list? What a fun list! I love all your picks! Shopping for the guys ( husband, brother, Dad, FIL) are totally the hardest for me!! just bought two things! this is the best list I've seen this season. Love the amazon and etsy finds.